Legacy hardware will no longer be compatible with Intel's newest platforms. In an effort to improve security for its users, Intel is planning to remove legacy BIOS support from its UEFI by 2020 which will make legacy hardware incompatible with the newest platforms. The original PC Basic Input/Output System (BIOS) was created 36 years ago by Digital Research's Gary Kildall and was later incorporated into the IBM PC. Since that time, BIOS functionality has remained a mainstay on PC though Intel recently implemented its own Unified Extensible Firmware Interface (UEFI) mechanism that included BIOS support as an option. By 2020 though, Intel plans on removing legacy BIOS support from its UEFI to improve security. The average user will likely be unaffected but for organisations that depend on legacy hardware, this will be a huge setback that will either force them to abandon these devices, run them on older platforms or move their operations to other compatible platforms. When UEFI was initially introduced, the developers and hardware manufacturers that make up the Unified EFI Forum created a Compatibility Support Module (CSM) and defined several UEFI system classes to help ease the transition from BIOS to UEFI. Today most PCs are UEFI class 2 and can utilise either the UEFI or BIOS interface depending on what a user selects from the BIOS configuration. However there are some UEFI class 3 devices like Microsoft's popular Surface Book and once Intel removes CSM support from its new client and server platforms by 202o2, all new platforms will be UEFI class 3. Following the removal of CSM, new platforms will be unable to run 32-bit operating systems or natively use 32-bit software as well as older hardware that is not compatible with UEFI. 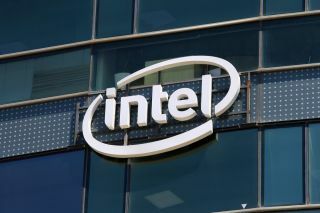 To help prepare users, Intel is encouraging its partners to improve the UEFI user experience and promote features native to UEFI such as secure boot. At this point is still unclear as to exactly when the company will completely remove legacy BIOS support and Intel's biggest rival, AMD has not revealed whether it will follow suit. We will likely learn more ahead of the release of the chipmaker's Cannon Lake and Ice Lake.